The initial public offering of marriage services provider Matrimony.com Pvt. Ltd crossed the two-thirds mark on the first day of its offering on Monday led by institutional and retail investors. The public offering of 2.81 million shares, excluding the anchor allotment, saw bids for nearly 1.875 million shares, stock exchange data showed. The book was subscribed 67%. The qualified institutional buyers’ category was covered 83% of the 1.5 million shares on offer. The retail portion, in which bids cannot exceed Rs 2 lakh per application, was covered nearly 1.2 times of the shares reserved for them. The portion set aside for non-institutional investors, comprising corporate bodies and wealthy individuals, saw just a handful of bids on the first day, data showed. High net-worth individuals (HNIs) typically bid on the final day of a public offering to keep their IPO financing costs at a bare minimum. In IPO financing, HNIs borrow short-term capital from various avenues, barring banks, to fund their IPO applications. HNIs deploy a small fraction of their own capital—which is called margin money—upfront. Additional capital raised through short-tenure loans help HNIs or wealthy investors place large bids in an IPO. The Chennai-based company, known for its flagship offering BharatMatrimony, has set a price band of Rs 983-985 per share for a total IPO size of Rs 501.07 crore ($78.41 million). Of which, the company will issue fresh shares worth Rs 130 crore and the rest of the proceeds will go to selling shareholders, including the promoters. At the upper end of the announced price band, Matrimony.com is seeking a valuation of close to 2,600 crore. The company, which owns the Bharatmatrimony.com website and a clutch of affiliated portals, raised about Rs 226 crore ($35 million) on Friday by allotting shares to anchor investors that included Baring Private Equity India and Goldman Sachs among 15 investors. The company had refiled its draft proposal with the Securities and Exchange Board of India in May this year, five months after scrapping an earlier proposal due to weak market conditions in the aftermath of government’s demonetisation drive. It received regulatory nod on 13 July. 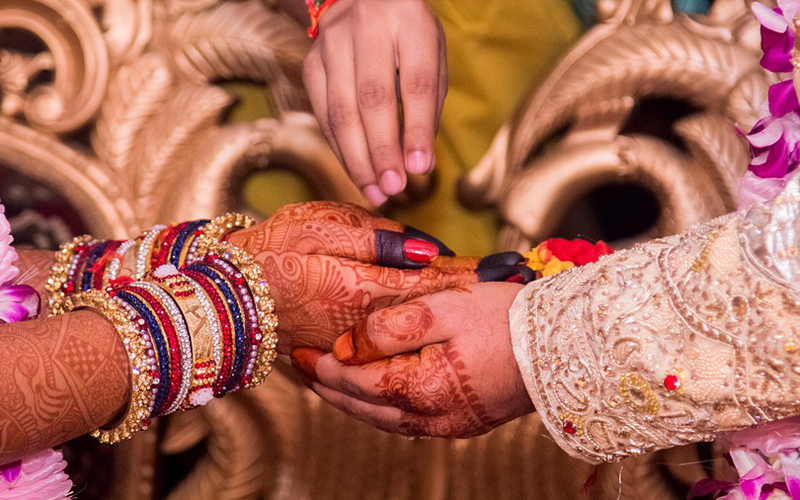 There are no directly comparable listed peers for BharatMatrimony. Although Info Edge (India) Ltd—which runs BharatMatrimony's competitor Jeevansathi.com—is listed, its valuation is dictated more by its job portal Naukri.com and its stake in Zomato. ICICI Securities and Axis Capital as book running lead managers for the IPO.